In a business context, talking is more important than ever. In a world dominated by email, texts and headphones, ironically sometimes made even worse in the today’s open-plan offices, the ability or indeed the desire to talk seems to me to have taken a backward step – which isn’t proving to be a good thing for any of us. In a business context, unhappy people aren’t that productive (no surprises there). This lack of talking can end up messing with our minds, making us feel vulnerable and ultimately leading to us being unable to cope. Any initiative to sort this is a good thing in my book, which is why I love and indeed am passionate about speed mentoring. Speed mentoring? Yes, that wonderful fusion of the speed dating format blended perfectly with classic mentoring. Essentially five sessions of group chats with different mentors/mentees in an hour. Sounds a bit crazy? Sounds like it won’t work? Well, it does. Five different industry leaders from all quarters of the industry sharing their careers highs and often their lows: it’s genius. Total catnip. HIIT for knowledge learning and sharing. Be under no illusion, we aren’t just talking about the mentees benefiting here. The reason why the events are so brilliant is that they’re a two-way street. The mentors also get a chance to talk a lot. To open up about how they worked through their career issues, their fears, their frustrations. If it sounds a bit like group therapy – you wouldn’t be so far off. But of course, it’s totally business and career focused. The truth is that with varying perspectives on how to get on in your career, questions over how many careers we have, and being so different across the generations, it’s more essential than ever to listen and to question. By talking, we can all help each other adapt, change and ultimately be happier at work. As humans we need connection and we’re never happier when we have found our tribe – people who give us a space to air our questions without judgement; others going through the same issue. If I could bottle the enthusiasm and excitement from all who leave speed mentoring events, I would be a very rich woman. 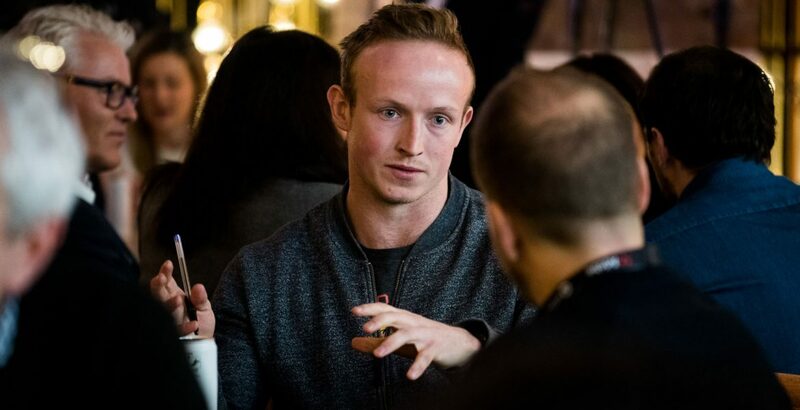 Obviously, I’m hugely proud that speed mentoring was a format initiated in our industry by NABS over seven years ago, but what I love most is that it is now used industry-wide in companies and at conferences to get people talking. To share, to empathise. To make people feel that they can cope, survive and thrive. I love the fact that the format is now also used to drive for a fairer and equal industry in terms of gender and wider diversity. WACL, Bloom and Media for All are bringing together leaders to ensure that there are networks in place to support and help those up and coming in the under-represented parts of our industry. This year at Advertising Europe we’re holding a speed mentoring session on Tuesday 19 March at 0830. Rak Patel, head of sales at Spotify UK, is one of our wonderful mentors and he attests to all that I’ve been saying: “Much of how I’ve evolved has been down to great tutorage from some of the best commercial and business leaders that I have worked with. Even today, I have over a dozen mentors that I turn to. Dallas Wiles, chief commercial officer, JC Decaux; Rachel Bristow, partnerships director, Sky Media; Jason Trout, EMEA managing director, Unruly; Caroline Foster Kenny, CEO EMEA, IPG; Mark Howe, managing director EMEA agencies, Google; Sophie Maunder, chief strategy officer, Chime Communications; Danny Donovan, joint managing director, MediaCom; Rak Patel, head of sales, Spotify UK; Matt Teeman, managing director, Primesight and Sion Owen, commercial strategy and business development director – Advertising and Media at BT.